The 2014 Girls Sophomore Clinic took place on the evening of Friday, July 18th at Field 6 of the Ehrnfelt Soccer Complex. There were important updates to this information on Wednesday, July 16. Coach Bob Sheehan, the only coach in the history of the Northern Kentucky University program, is entering his 17th season as Head Coach. During his tenure he has compiled a 258-64-18 record with 7 Great Lakes Valley Conference championships. Last Season was the team’s first season in the NCAA Division I with the Norse competing in the Atlantic Sun Conference. Prior to his tenure, Coach Sheehan guided the Bulldogs of Cincinnati St. Ursula Academy to 2 OHSAA DI titles in 1991 and 1993 while compiling a 106-8-13 record during his last 6 years there. 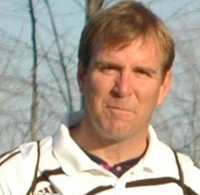 Nick Heyniger became the director of the Strongsville Goalkeeping Academy in 2007. In 2008 he joined the staff of the Strongsville High School Girls Soccer team. Prior to his tenure with the Strongsville programs he was Men’s Assistant Coach at Austintown Fitch High School for 11 years. 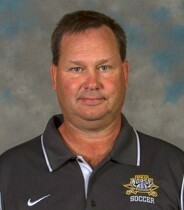 Nick also spent two years at Firestone High School as an Assistant Coach from 1992 – 1994.